It’s 4 am Monday when the call came in to St. Lucie County Fire Station 6 on Midway Road. On the 9-1-1 call, you hear the caller calmly ask for help. “She’s starting to push right now in the room," says the caller. 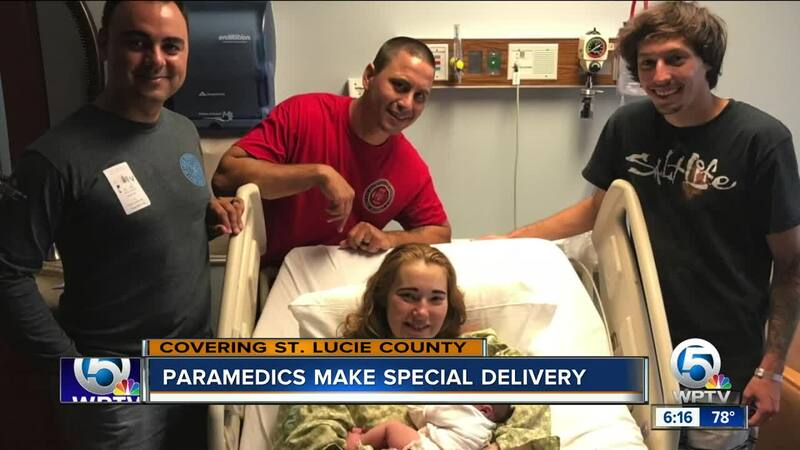 Paramedics Craig Stokes and Jesus Monaco jumped in the ambulance and headed to a home in Fort Pierce where the mom is in labor. “She had the feeling or the need to push, and we knew the baby was coming," said Monaco. New dad to be Austin Mitchell jumps into the passenger seat of the ambulance. “I was sitting there shaking before they even showed up while she was on the phone with dispatch. As soon as I see the ambulance come down the driveway, I was like ‘deep breaths it’s going to be alright. '”, said Mitchell. But before the ambulance can make it all the way to St. Lucie Medical Center, little Adelynn makes her debut. “We had one and a half (patients) in the beginning and two by the time we made it to the hospital," said Monaco. “I was really shocked and surprised and just thinking she’s already in my arms and thinking… is this real?" said Arica Mitchell as the first time mom held her baby in her arms. 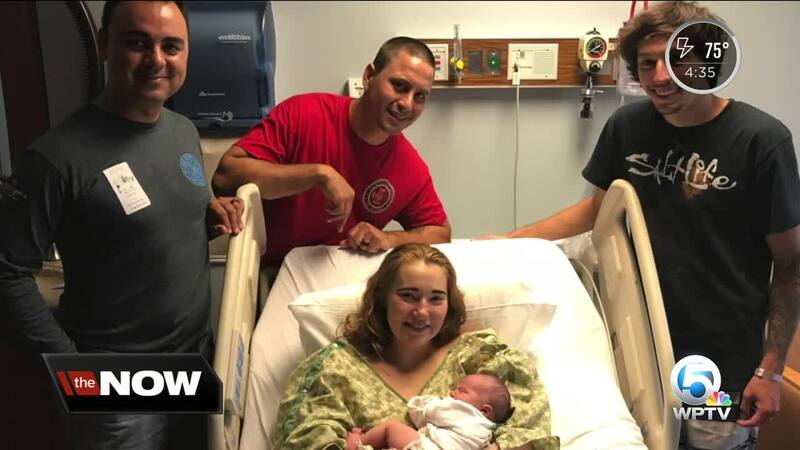 For Monaco, this special delivery was extra special as it fell on the same day as his daughter’s 14th birthday, a birth he was not there to witness. “I adopted my daughter two years after she was born, so it was a special day today so I missed the day she was born but somehow found a way to relive that day," said Monaco. “We deal with a lot of tragic stuff so when you finally get to deal with a new life, it’s happiness," said Craig Stokes. The new baby, her parents, and the paramedics… are all doing fine.